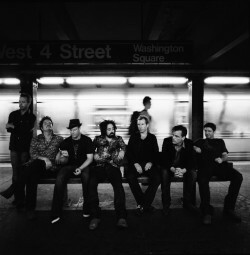 Not content to provide the citizens of NYC just one intimate club show, the Counting Crows just announced two more club dates at the Blender Theater on March 16 and 17. Like I mentioned before, they’ve also got an album coming soon, Saturday Nights & Sunday Mornings drops on March 25, 2008. Internet presale begins Thursday, 03/06/08 at 10:00 am EST. I believe a tour is happening soon, but I have no dates as of yet.